Hey, everybody! This is my first Summer break post and I couldn't be happier to start writing more frequently again! 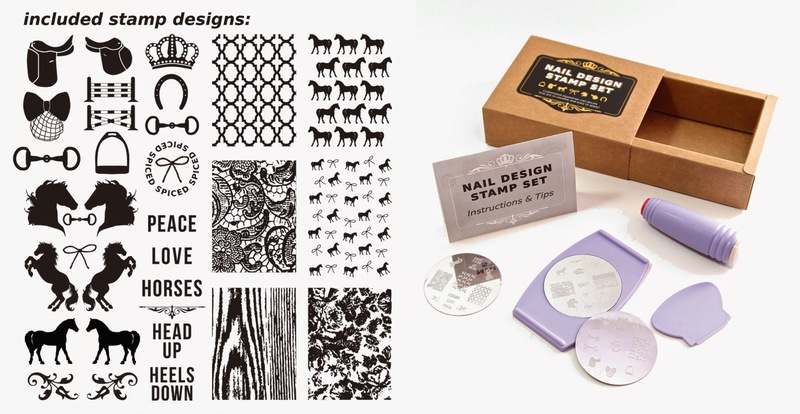 Today I want to share with you a new product from Spiced Equestrian, the nail design stamp set. This set allows you to create custom pony nail decals that are reusable and very easy to apply. 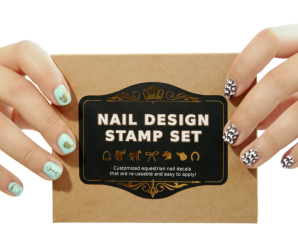 It includes a set of instructions, a stamper scraper, a design place holder and 3 design plates featuring super cute designs we can print using our own nail polish! Cannot wait to try this!!! It's such an innovative creation!